Performance Taping, unlike conventional athletic taping is applied in a manner that allows the body to move freely without restriction. 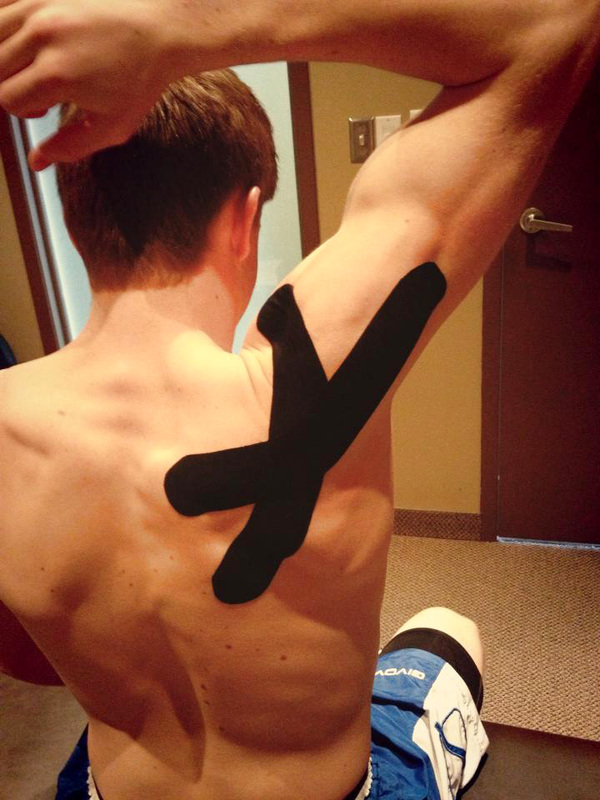 Performance Taping can be used to help balance muscle firing patterns and improve joint function. This taping procedure can help improve the quality of your client’s movement and improve the efficiency of your program design. 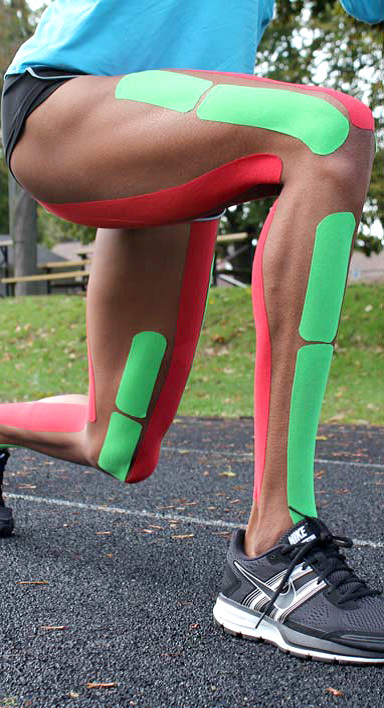 What is Performance Taping and what are the potential benefits? Performance Taping involves placing strips of elastic kinesiology tape called Performance Tape on the skin to balance muscle function. 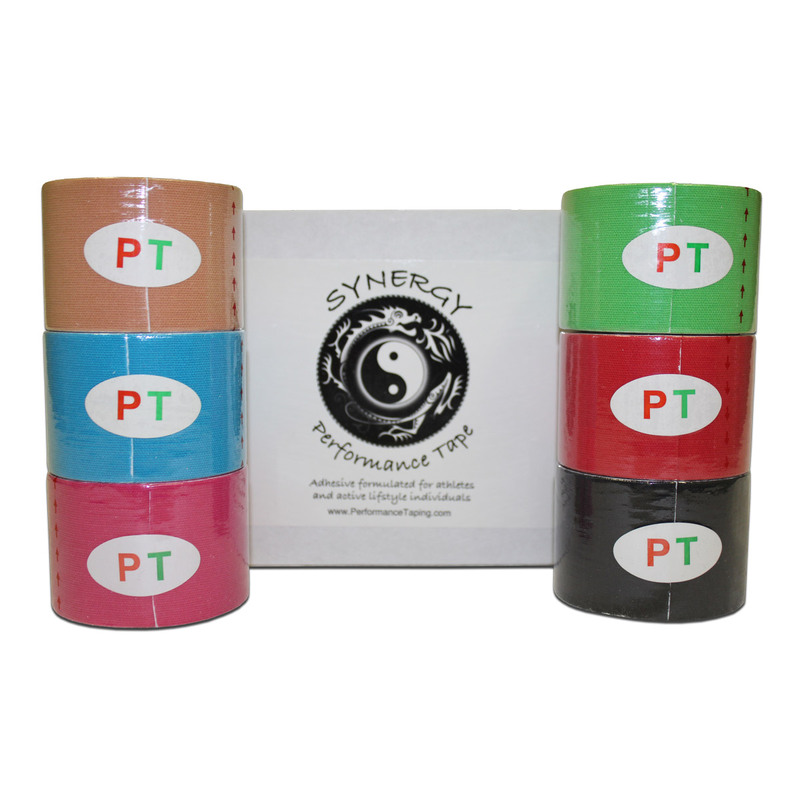 Performance Taping, unlike conventional athletic taping is applied in a manner that allows the body to move freely without restriction. 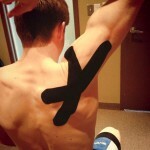 Performance Taping can be used to help balance muscle firing patterns and improve joint function. 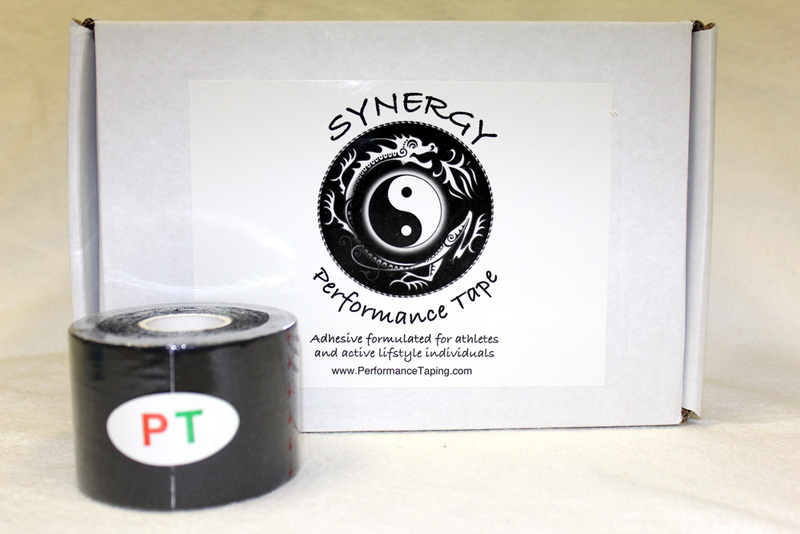 Performance Tape is used by a variety of amateur, Olympic and professional athletes to help improve motor control. 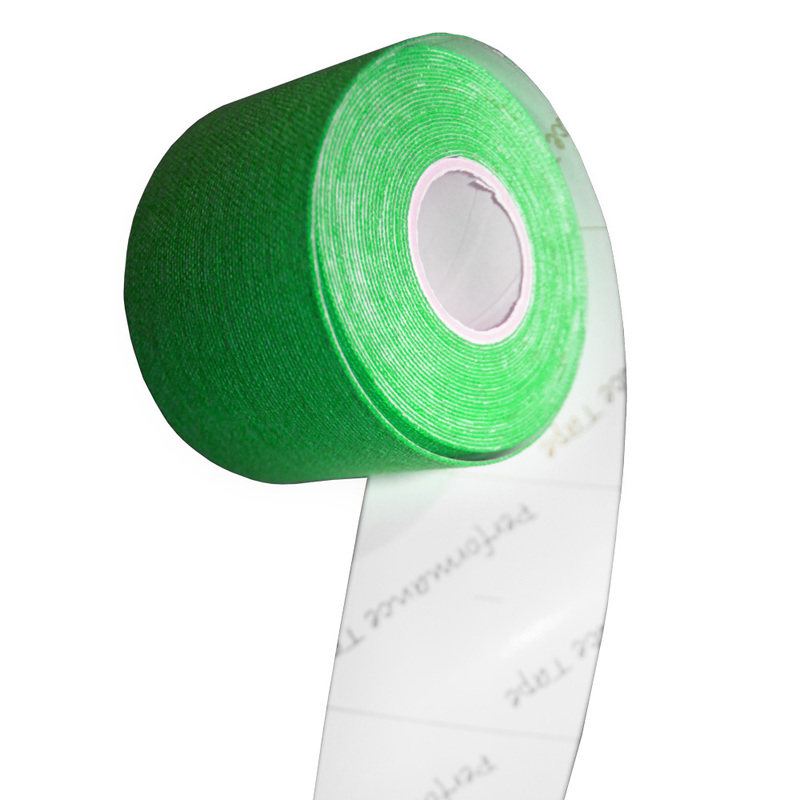 This taping procedure can help improve the quality of your client’s movement and improve the efficiency of your program design. After a functional evaluation, Performance Tape is placed over the muscles in a manner to either increase or decrease muscle activation. The intention is to optimize motor recruitment in order to improve the quality of movement of a specific region. 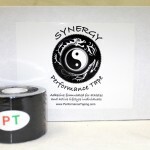 Performance Taping works by affecting the specialized nerve receptors of the skin and the underlying fascia through the gentle tugging action the tape offers during movement. This results in normalization of motor function and improves quality of movement.